Get The Perfect Electric Plan in Port Mansfield, Texas! We work hard for over four million customers across the United States and Canada, striving to earn their trust day after day. Even though we're among the largest residential energy retailers in North America, our headquarters are in Texas, making us one of your friendly neighborhood electric companies. We provide big-business know-how without giving up the personal touch you'd expect from a small-town energy provider. Direct Energy is your reliable go-to resource, no matter what you need. We have a bunch of specialized offerings across North America. Make advised decisions, be more efficient, reduce your energy use and save money with the insights we provide to you. The perfect Port Mansfield energy plan is waiting for you! Given the number of fun activities available in the Lone Star State, like letting the kids cool down by running in the sprinklers, the last thing you want to do is waste time thinking about your electricity. 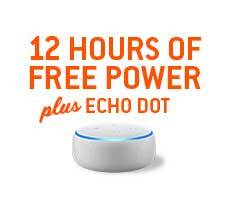 Reel in great customer service and low, fixed electricity rates with Direct Energy! You should never have to fret about your electricity bill during the mild and cool Port Mansfield winters. Luckily, Direct Energy has you covered with the products and prices that are right for your home and your budget. 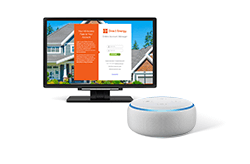 There is a wide variety of plans available to you, from the Echo Dot plan to a fixed rate, where you can lock in a stable price for the term length that you choose. You can count on competitive pricing and superior customer service with all of our plans, and there are more perks where those came from. Once you've figured out your perfect plan, you can use our Online Account Manager to view your bills, refer a friend, and more. Simple as that! Nobody has the same energy needs, but we have the knowledge and tools to help all energy-users become more energy-savvy and save on their electricity bill. Get more for your dollar - browse through our Learning Center to learn about energy in Texas. While you're there, browse through some simple ways to decrease your energy use. Our mission is to offer our customers in the AEP Central area the tools and resources they need to Live Brighter. Direct Your Energy, our user-friendly usage insights resource, evaluates your energy usage, helping you make informed decisions that can encourage you to use less. Usage Anomaly Alerts, an alert message feature for abnormal usage patterns, are triggered when your actual usage is considerably different than what would have been predicted given weather conditions and your historical usage patterns. Our Learning Center and blog also have considerable resources for you to learn more about your energy use. Everything from green living and home improvement tips to weather readiness, Direct Energy is dedicated to helping you understand and manage your energy use and take care of your home. Looking to switch your energy provider? Trust us to make the process stress-free, whether you need new service or you're changing Port Mansfield electricity providers. 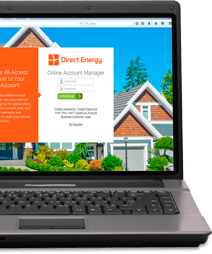 With Direct Energy, you can enroll in paperless and Auto Pay options, track your energy usage, refer a friend and save, and more. Explore our different plans now. We have the electricity plan that fits your needs, whether you want the freedom of a connected home bundle or the stability of a fixed rate. Then, sign up for Paperless Billing and Auto Pay to make paying your monthly bill stress-free. It can all be done by logging into your account! There are some things you can always count on, no matter which electricity plan you choose for your Port Mansfield home - like fixed rates and great customer service! 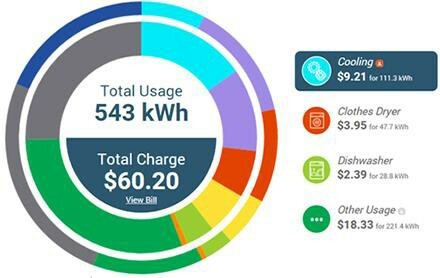 Take advantage of Direct Your Energy, our insightful usage tool that analyzes your energy usage and helps you use less and save more. Unlike some other electricity companies, we are committed to helping you save money on your electric bill. In fact, with Reduce Your Use Rewards, Direct Energy is rewarding customers for consuming less electricity at specified times! We have everything you need to live smarter. Get started with Direct Energy today.